At a time when wagons are slowly evolving from being family haulers to performance beasts, people in the U.S. are missing out on a lot of action. The Audi RS4 and the RS6 Avant give us the major #FOMO feels. 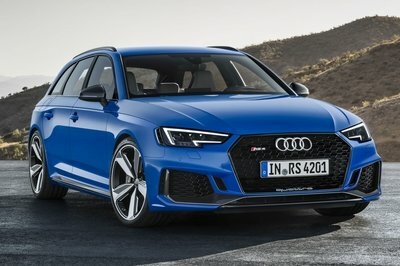 Audi has told wagon-lovers in the U.S. not to give up hopes yet, as the company said, “We always look at potential new opportunities in the market. It’s a niche to explore. We keep holding discussions. Keep writing us letters.” That’s not a confirmation in any way, but it sounds like an assurance for the time being. The namesake fast wagon from the German automaker’s stable that we have here is the Audi A4 Allroad. Although we were mighty impressed with the wagon, it is no substitute for the RS4 Avant, and, that is why we need the Lord of the four rings to ship those beauties our way as soon as possible. You listening, Audi?